As you might expect, the term’s origin is recruitment. HRs needed a good word to convey a diversity of knowledge, skills, background, and experience. As a result, in the early 90s, the concept of vertical and horizontal classification of skills came out. 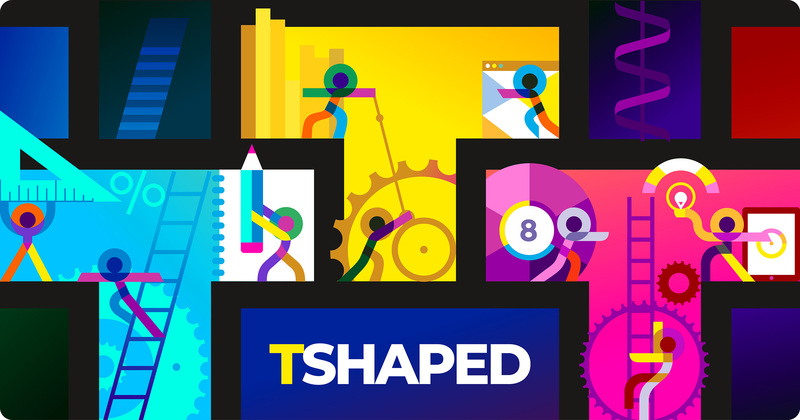 T-shaped refers to someone who possesses deep skills along with a broad base of shallow ones. The concept splits the T letter into two bars – horizontal and vertical. Correspondingly, the horizontal bar includes a range of skills in the areas unrelated to the primary one. Nevertheless, the breadth of these skills allows you to cooperate with representatives of other fields and share a common language with them. For this reason, the horizontal characteristic includes two essential things – empathy and working enthusiasm. The first one denotes a person’s ability to stand in someone else’s shoes and see things from a different perspective. Being enthusiastic about other disciplines and professional environments is always an advantage since the knowledge-hungry employees are worth their weight in gold. Those who tend to have a wide horizontal bar not supported by discernible specialties are known as dash-shaped people or generalists.